By now, every musician out there – whether just getting started or something of a veteran – should be aware that YouTube is an incredibly important platform to anybody in the music space. It’s where millions of people go every day to listen to music and for entertainment. You need to have a presence on the site, and you need to do it right. 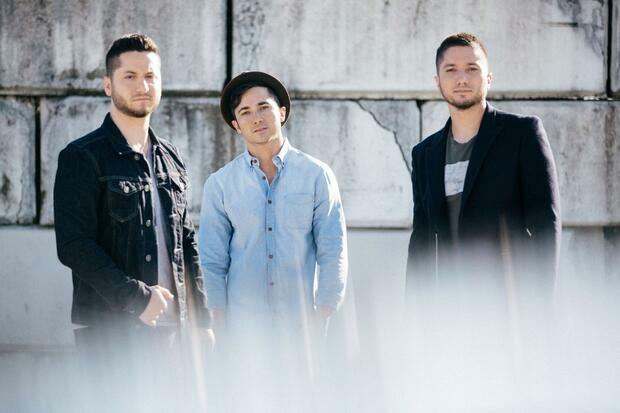 One band that's proven that they know what they're doing when it comes to YouTube is Boyce Avenue. The band isn’t signed to a major label, they've never charted a major hit, and yet they're one of the most popular channels on the site. The group has surpassed two billion – yes, billion with a B – views, and they're still going strong. What makes them so successful on YouTube if they aren’t superstars? Those are the types of numbers that one would expect from someone like Beyoncé or Katy Perry, but not an unsigned, DIY band. I spoke with Boyce frontman Daniel Manzano recently, and he shared three important pieces of advice for anybody, musician or otherwise, who's looking to be successful on YouTube. This sounds like a no-brainer and kind of silly, but it’s critical – not just for success in terms of views and ad revenue, but for building a serious, permanent relationship with your fans. The viewer isn’t stupid, and Manzano warned that people watching at home will "see through it" if you’re dishonest in your posts. He calls YouTube "a platform that values and puts a premium on people who are being themselves and being honest." Part of being honest is being yourself. Don’t try to be something you’re not, as people won’t believe it after a while. Manzano put it bluntly and simply, saying, "Don't be afraid to just be yourself and be honest, or you really won't work." For those thinking that it’s only YouTube, and that creating a good amount of quality content will be a breeze, be warned: the experts say the opposite. "There's a lot of work that goes behind running a channel and doing a lot of it yourself," Manzano says. If you were thinking that you might want to outsource some of the work to make your load lighter, think again. "You have to do a lot of stuff yourself," he stated. "The moment you don't do a lot of it yourself, the fans can perceive that it's become more run by the machine." Everything you’re going to do connected to your musical career is going to require a lot of hard work, and YouTube is no exception. Don’t skimp and don’t ignore your obligations, because while it may take a long time and a lot of effort to build up a successful profile page, it can all disappear fairly quickly. This is certainly an important factor for creating a successful channel on YouTube, and in more ways than one. Not only do videos need to go up regularly and often, but you need to be consistent in terms of what you project. "Find who you are, find your voice, and stick with it," the band’s leader told me. "People come and go, but for the most part, people like to feel comfortable knowing that they're going to get what they expect and that you're going to be the same person from week to week." Don’t switch up your personality, and don’t mess around with the format of your videos too much. You can create different kinds of clips, but your fans should know what they're about to watch as they click it. Also, don’t let a lot of time pass between uploads, or you run the risk of people forgetting about you and your channel. If you post once a week, keep that streak going! Do your best not to miss deadlines, or if you’re going to have to skip some days or weeks, at least let your fans know. How often isn’t as important as making sure that it’s regularly, and that it can be counted on.